PaigeeDraw: Copic Ciao 24 Piece Drawing Set by PaigeeDraw! 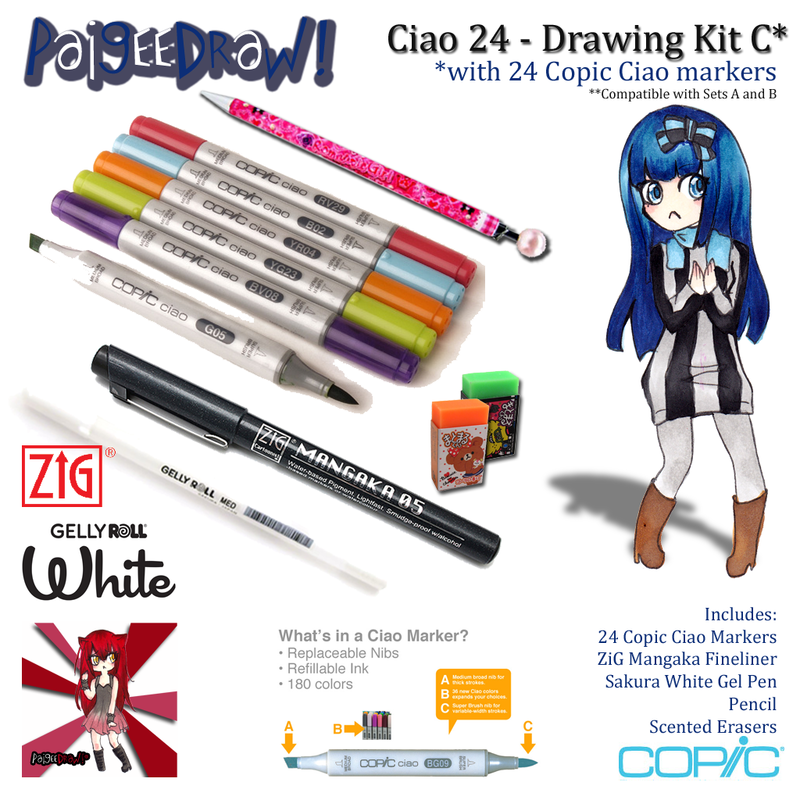 Copic Ciao 24 Piece Drawing Set by PaigeeDraw! Paige Rohrick from PaigeeDraw has re-created all of the PaigeeDraw Copic Ciao Marker Drawing Kits at PaigeeDraw! Sets include 12, 24, 36 and 72 Copic Ciao Markers! ***The new Drawing Kits are Cross-Compatible with no duplicate markers between compatible kits. This is the perfect starter kit to get started with Copic Ciao Markers. Paige has selected enough colors for Skin, Hair, Shading and creating your characters fashions. This kit has everything you need for sketching, finelining and coloring your drawings. Paige has included a super smooth ZiG Mangaka fineliner as well as a White Gel Pen to add shine to eyes, hair, shoes and accessories. Get started drawing! 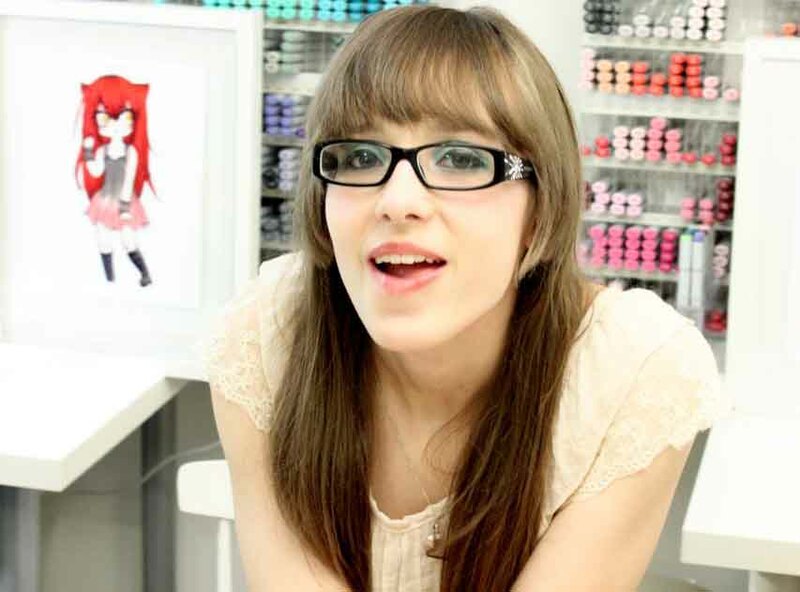 Looking forward to everyone's PaigeeDraw World Tutorials! A huge thanks to the PaigeeDraw Community for all of the continued support! Send Gift Suggestion - Christmas Ideas! Copic Sketch - 36A Drawing Set from PaigeeDraw! Copic Ciao 24 Piece Drawing Sets - PaigeeDraw! Copic Ciao 36 Piece Sets! PaigeeDraw Copic Ciao 36 Drawing Set B - NEW! PaigeeDraw Copic Ciao Drawing Sets! Copic Ciao 36 Piece Drawing Set by PaigeeDraw!